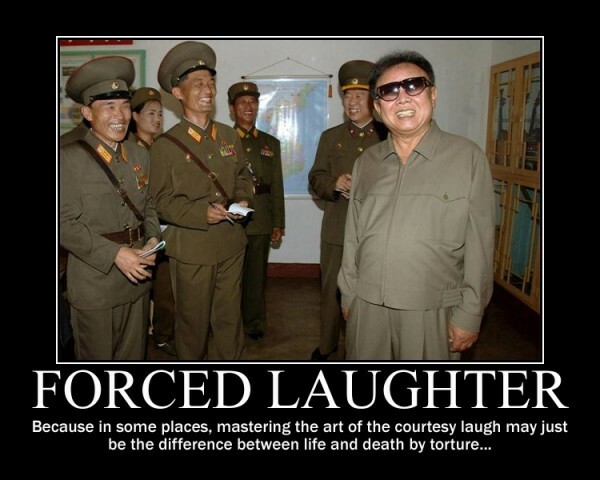 Kim Jong Il was an internet expert. I bet that you didn’t know that. Nope, we didn’t make a mistake with this fact, it’s a one hundred percent true statement. Well, that’s according to the former repressive supreme leader of the reclusive socialist state Kim Jong Il who said he was an internet expert. As with everything that comes out of that bizarre little country that you could call the crazy Korea, you must treat it with a little suspicion. The reason for the suspicion is because everything that goes in and out as well as around the place is highly regulated and controlled. The idea of free speech is almost unheard of, but by all means speak your mind just before they are sent all over some public field. Generally the only information the outside world gets about North Korea is from dissidents who have managed to evade the law and flee the country. It’s not completely known if what they say is true due to their relationship with the state. 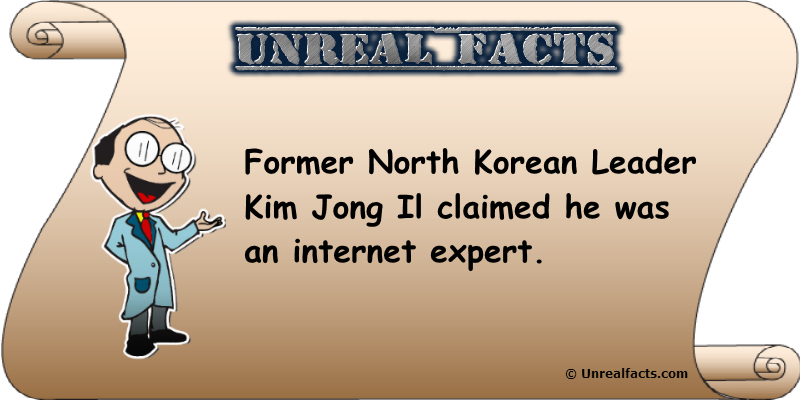 But the claim that Kim Jong Il was internet expert came from a more reliable and trusted source. That source was former president of South Korea, Roh Moo-hyun. In 2007 during talks between the two leaders over the joint industrial park just over the border in North Korea, Kim Jong Il claimed he was an internet expert. The claim came up when the South’s president asked that the South’s workers be allowed access to the internet while working in the industrial area. Kim Jong Il agreed to the request, provided it was restricted to the complex, saying that he was an internet expert, not that there’s a lot to be an expert about. Perhaps I’m a little harsh and cynical over the claim. There are after all plenty of people who become experts in different fields without actually gaining a degree or other qualification. A deep understanding and self taught knowledge of the subject can be enough for some people to understand the mechanisms of it better than those who have undertaken an extensive course. But my initial statement remains. What is there about browsing the internet to be an expert in? But the claim did come from Kim Jong Il, the man who the authorized school texts said was the only man who never pooped. Perhaps that’s the reason he is no longer alive. He was full of it, both in his bowels and in his own words. He was the world’s best golfer scoring 11 holes-in-one, and a total score of 38 on his first ever attempt at the game. He could control the weather and make it rain when he wanted. He invented hamburgers, calling them double bread with meat. He was the most prominent statesman in the world. He was going to solve the countries famine by breeding giant rabbits. He was born under a double rainbow. By three weeks he could walk, and by eight weeks he was talking. He wrote 1500 books over three years and six operas, which are the best ever written. He reportedly killed his own brother when he was five or six. Clearly Kim Jong Il was far more than an internet expert. He was possibly the most talented man who ever lived. Previous article How Long Do Koalas Sleep a Day? How Long Do Koalas Sleep a Day?